Global Advertising Media believe that the design process begins with discovery - identifying the target audiences for the web site, developing a persona set, conducting usability studies, surveying our clients, and defining the structure of the redesigned site. As the Internet grows, and web-related technologies continue to improve, neglect, poor design, and outdated methodologies are causing more and more websites to fall to the side. It is important that you keep the look of your website fresh and maintain cutting-edge standards of design, navigation, and functionality. You should regularly schedule a complete redesign of your website, periodically giving your visitors a new and exciting experience. 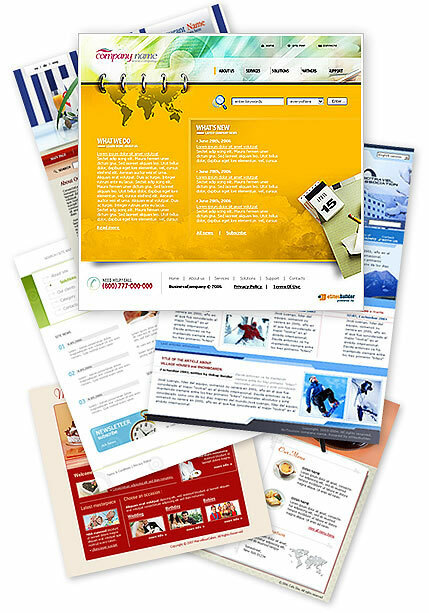 This service will help ensure the professional execution of the redesign of your website and - by increasing your site’s usability - enhance the perception of your organization. After we collect all of the data in the discovery process, we sit down as a group to consolidate ideas. Designers present thumbnail sketches of concepts they feel may meet your needs, and we select the most promising designs from the pool. The designs are then fleshed out and put into electronic format. We revisit the designs again as a group, using the persona set as a filter for the interface. Does the design adequately address the needs of the user? Does it communicate the key messages of the client? Does it meet the constraints and requirements set forth in the project plan ? Speed up the website download time. Making it easy for potential clients to get in touch with your company by making contact information accessible from every pages on your site. To have a site that is visually attractive and not distracting. Design a web site from user point of view and not the organization.